As with any sport, as one task or season is conquered, a person strives to do more, learn more and go farther. That is why many hunters are willing to travel all over the country and the world to hunt different animals. Each hunting experience offers its own set of challenges, but the rewards are worth the work. However, sometimes it can be overwhelming hunting somewhere new and different. One must consider the licenses needed, the land available to hunt, when to hunt, how to hunt; the variables are endless. So, how wonderful would it be to purchase a license and know that you would have quality land to hunt? Well, that is exactly what Kansas has to offer. 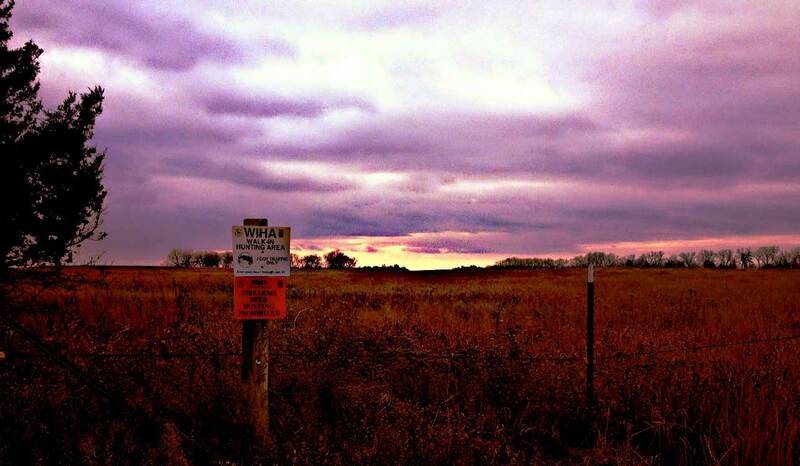 Walk-In Hunting Areas (WIHAs) are privately owned properties leased by the state to offer quality hunting opportunities to every person who purchases a Kansas hunting license. Started in 1995, the WIHA program has only continued to grow more successful. The best part is that Kansas goes to great lengths to let hunters know exactly what land is available for hunting and how to access it. Every year the state publishes a hunting atlas with detailed maps of the walk-in areas, access dates, and also the state and federal land accessible to the public. The Department of Wildlife, Parks & Tourism website also offers an online map that allows potential hunters to view and download only the pages of the specific areas they are interested in. The publicly accessible areas marked on the atlas maps are generalizations only. The actual property boundaries will be clearly marked by Walk-In Hunting Area signs. Some tracts of land are only open during certain times or seasons, and the hunting opportunities may be limited. Read the signs and the atlas details completely. As with any hunting adventure, complete preparation is vital to a good outcome. The number one factor in preserving success for both hunters and property owners utilizing the WIHA program is mutual respect. All WIHAs are subject to Kansas hunting regulations and all hunters are expected to be considerate of homes, animals, boundaries and agricultural crops. As always, good sportsmanship is key to creating amazing hunting opportunities and memories that will last a lifetime.